Delegate tasks to a skilled project team and select an organized project manager to keep the team on track and guide project implementation. Webinar panelists Rotarian Heather Frankle and Rotarian David Bobanick encourage project leaders to promote collaborations. Frankle recommends reaching consensus on decisions from the onset to create a cohesive project team. Design and stick to a communication plan when working with partners to keep everyone talking and informed. Schedule frequent check-ins with project partners. If working with international partners, host regular conference calls to ensure everyone is well informed. “Budget expenses slightly higher and income slightly lower than expected to help cushion any unexpected financial challenges” says Rotarian Bobanick. Involve project partners with different skills and specific responsibilities to build stronger teams and foster more idea sharing. Keep detailed records of project expenses and achievements. This is important for any project, but especially those that have received global grants spanning multiple years. Rotarian Bobanick encourages establishing a tracking system to oversee volunteer involvement, finances, and project progress. Make volunteer experiences fun, meaningful, and inclusive. Invite new or prospective members to participate in a service project and experience Rotary outside of a meeting environment. Measure baseline data, define benchmarks for success, and measure outcomes, to track the progress and success of a project. 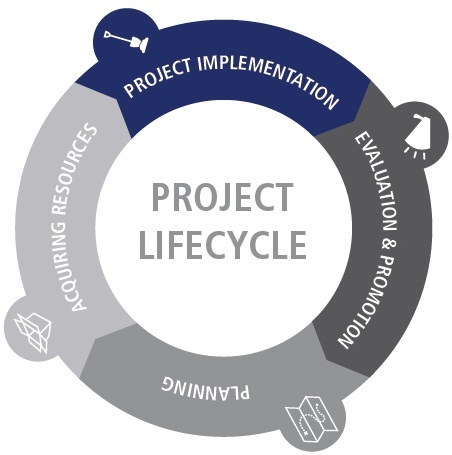 Share project reports and budget information with project partners and recipients on a quarterly or semi-annual basis. Not everything in a project will go smoothly. Maintain a sense of humor and engage in creative thinking when challenges present themselves.